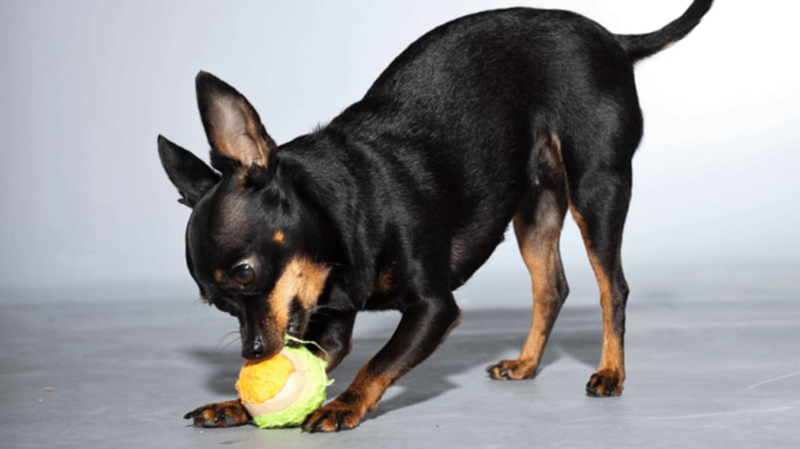 There are plenty of tricks you can use to decipher your dog's physical cues, but until Fido learns to speak your language, toy shopping is a guessing game. That wasn't the case at one recent "pup-up" pet store in New York City. As Creativity Online reports, the online pet supply company Bark & Co recently tested a brick-and-mortar shop where dogs were free to pick out their own products. The experimental pop-up site opened in Manhattan earlier this month, and for one week dog owners were able to buy tickets to take their pets on a truly unique shopping spree. Before pooches were unleashed on the inventory at BarkShop Live, they were suited up in digitally-enabled vests. The special gear was designed to read RFID tags embedded in toys throughout the store. When a dog spent time playing with one particular toy, that product was recorded for owners to see through an app and order later. And canine shoppers didn't need to worry about carrying their own bags home: After checkout time the swag was delivered straight to their doors. There's still no word on whether Bark & Co has plans to set up a permanent shop or make their canine shopping vests available commercially. Until then, owners can assume that a quickly-destroyed toy is a successful purchase.